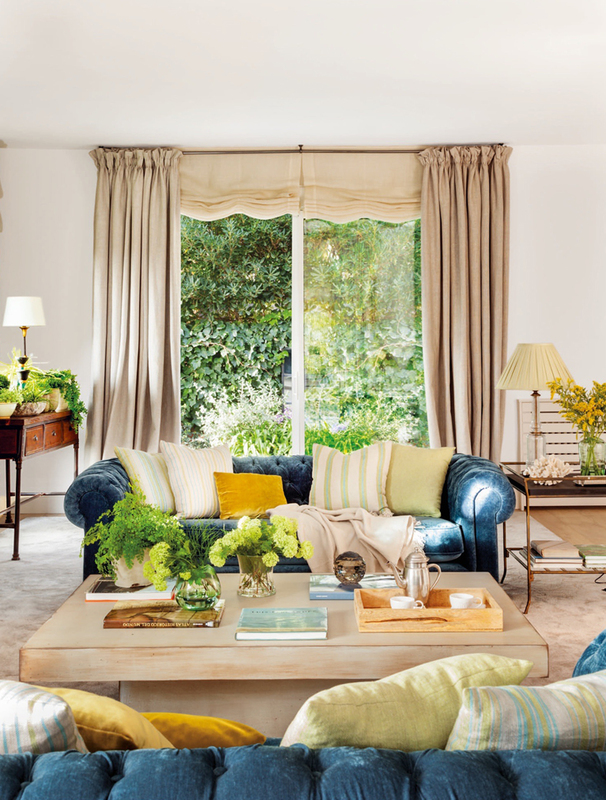 Colorful, cozy and timeless was the desired vibe for this Madrid, Spain home designed by Ana Pardo and her daughters Rocío Riestra Pardo and Ana Riestra Pardo of Santayana Home. 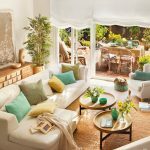 In addition, the homeowners wanted it to be unforgettable for their guests! 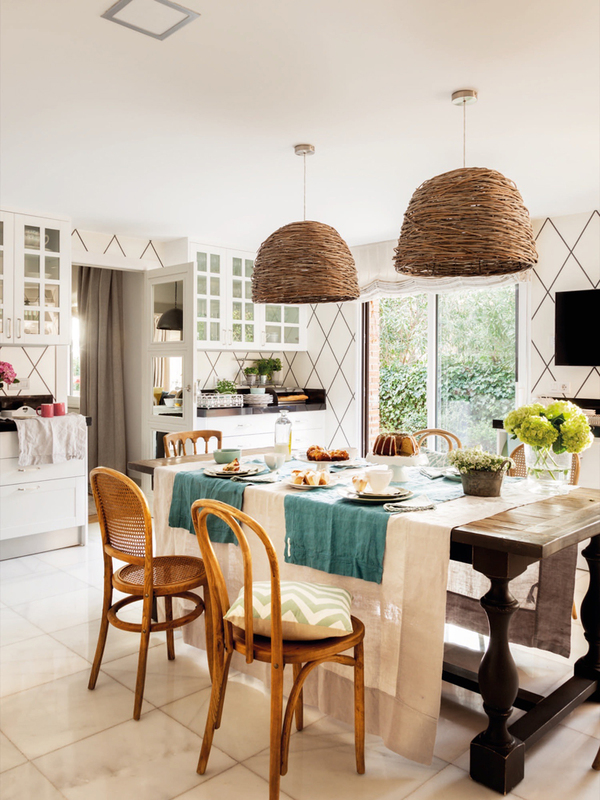 The talented designers delivered major impact with artful layers of florals, stripes and geometric patterns balanced out with calm neutrals and soft textures. 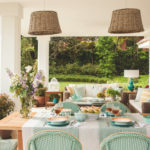 The entire home makes a statement yet feels harmonious too! 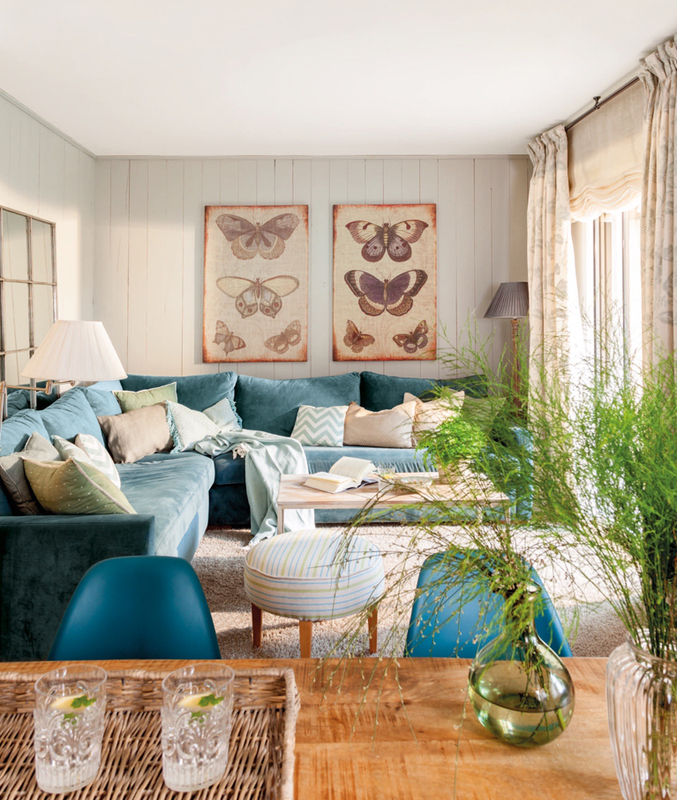 The family room with the comfy turquoise sectional might be my favorite space. 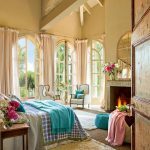 I love a good multi-use room and this one is perfect to lounge around in, play games, or do homework! 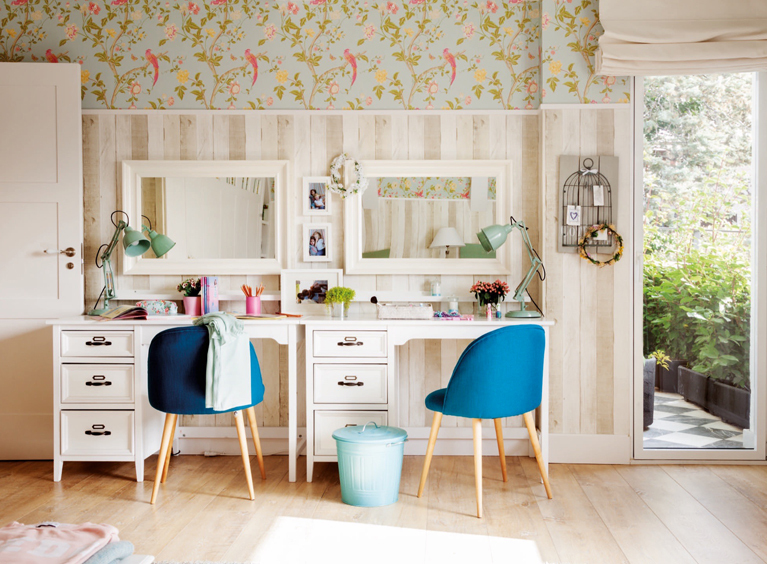 The girls’ room is another favorite–loving the Laura Ashley bird motif wallpaper! 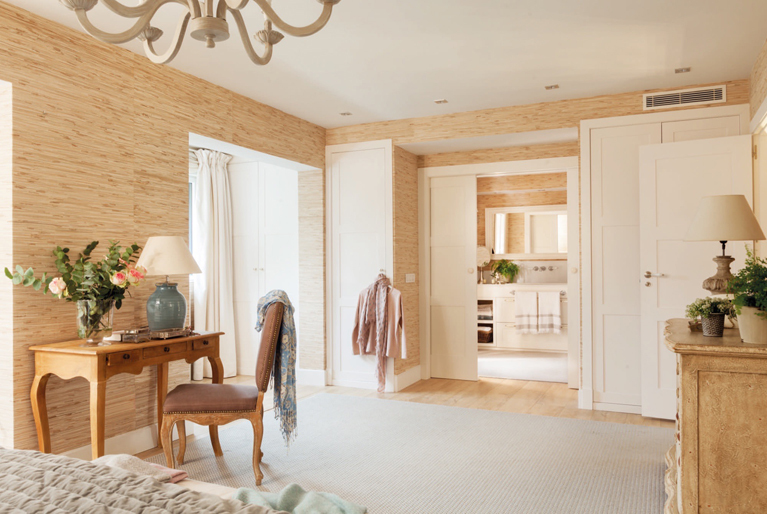 And I have to mention the serene master suite too…again with the beautiful wallcovering!! 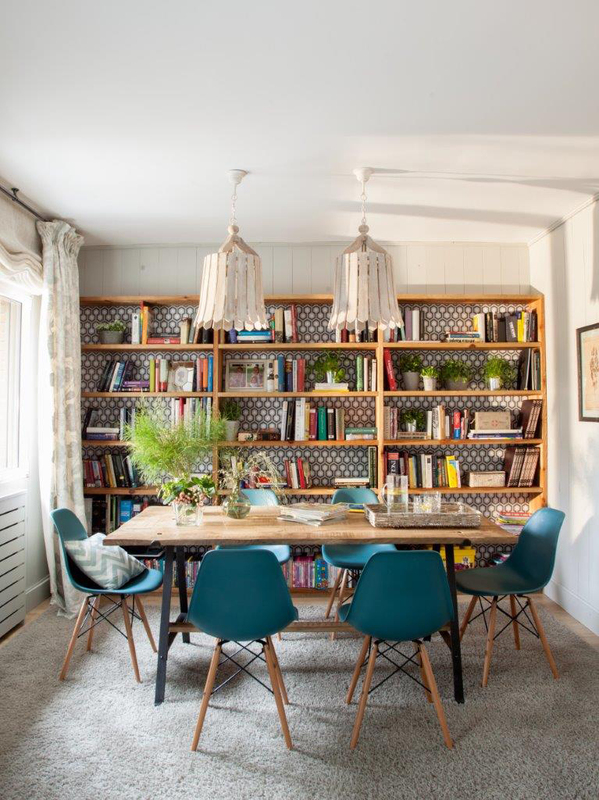 See more photos of the home by Felipe Scheffel over at El Mueble! 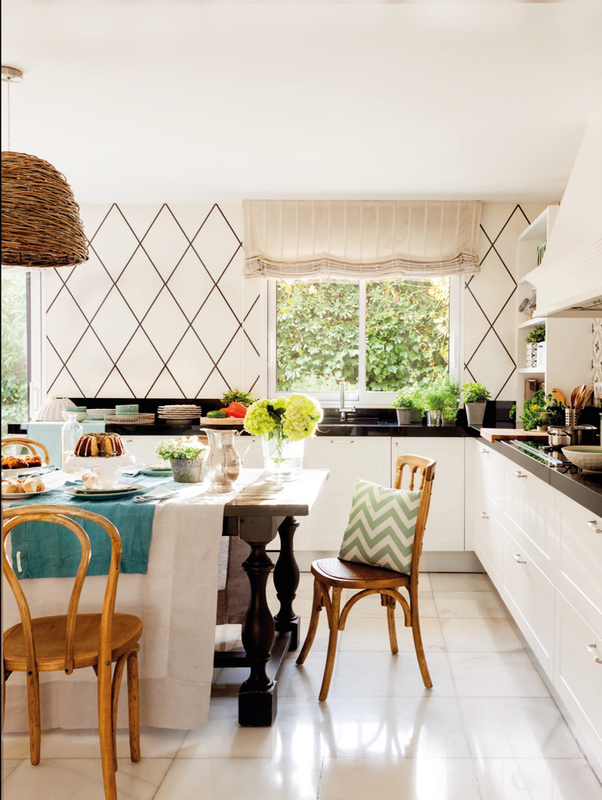 To see another dreamy Madrid home designed by Ana Pardo, go here!! I love all your house tours, but I particularly love the ones which look as though a family actually live there. 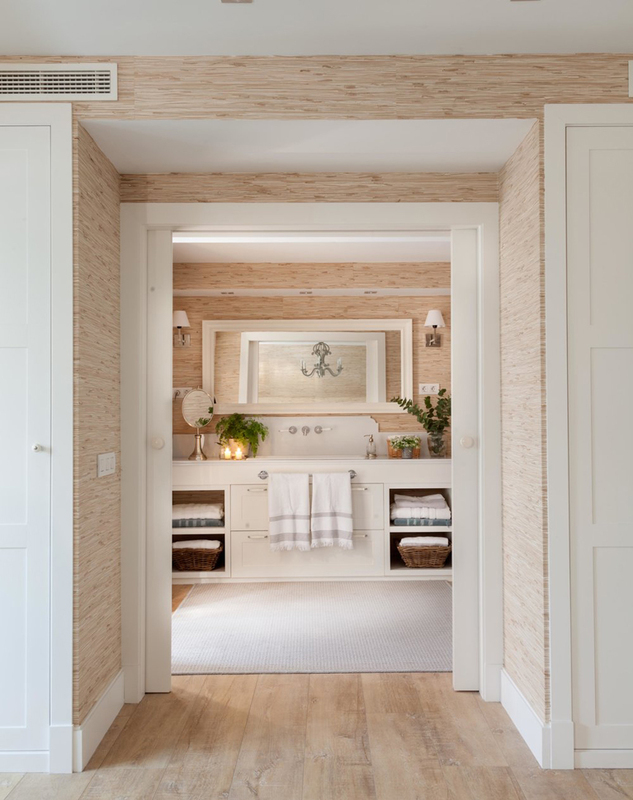 I love the dusty blue velvet sectional in the first photo, and I love the glimpse of the master bathroom through the doorway with the pocket doors *sigh*. Amazing colors and textures, perfectly done in every way! Thanks so much for sharing this beauty! I love this style! Love the mix of colors! 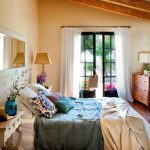 I just love this home and so many that I see in the magazine El Mueble. Lovely place to live and relax!